The past few weeks have been real game changers for Fabulous BBQ. We have embarked on some ‘world firsts’ and taken ‘experiential BBQ dining’ to the next level. BBQ has always been our passion, our creative beating heart has propelled us to stretch the boundaries, to take the BBQ and make it truly Fabulous. We were recently invited by The Recipe to cater in the Tower of London. Most of the time, caterers cook outside the tower itself, but this year we took our two hogs, and spit roasted them for all guests to see, inside the Tower. It was a wonderful experience. The medieval backdrop was perhaps the perfect backdrop as our whole Dingley Dell hogs slowly turned for 8 hours, depicting the epitome of medieval cooking, in the 21st century. The guests were as impressed with the taste of the pork, as they were with the surroundings. From there, we took things on a different journey partnering with Fry’s Family Foods for another world first. 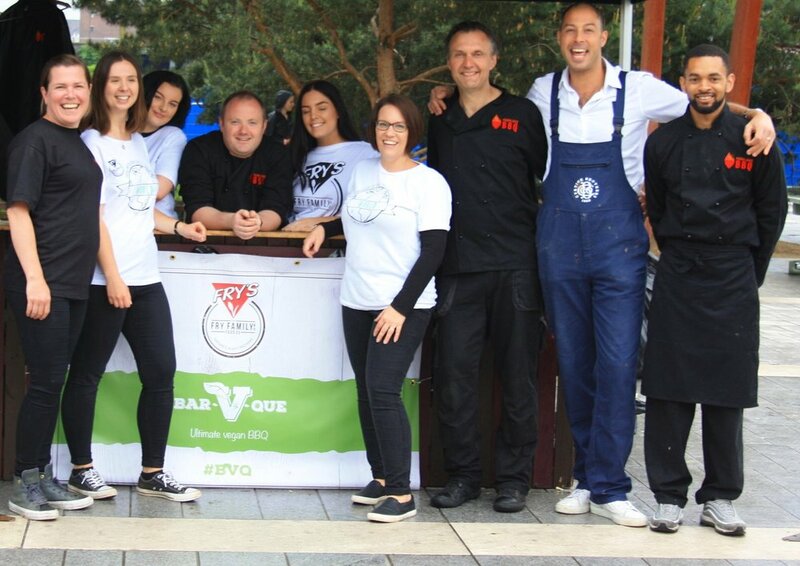 This time we barbecued for a world record attempt - the biggest ever vegan BBQ or ‘Bar-V-Que’ as it was called. We barbecued 1000 portions of Fry's Family Food delicious vegan burgers and sausages, handing them out to the hungry masses of Birmingham. It was a vibrant event, with many vegan diners travelling distances to come to the Vegan BBQ. The sight of rain didn’t put anyone off, as we say here at Fabulous BBQ - ‘rain or shine it's BBQ time’! Our creative genius (aka Pete Philips) put together the perfect conceptual menu. It was served to our guests, while they took in the breathtaking vista one can only see at 100ft above the London skyline! We know there will be more World Firsts to come. We love our repeat clients, those who we have worked with for many many years, we also love to introduce ourselves to new experiences, taking Fabulous BBQ on adventures new. Breaking the boundaries of normal, and working with clients to create something conceptual, unique, and one their guests will remember is what we do. Contact us to discuss your event and let's make it Fabulous!